and much prosperity in your new year. you were born to be happy, to be a winner. with that big smile that nothing can vanish. Have fun. free christian cards by Mery Bracho. 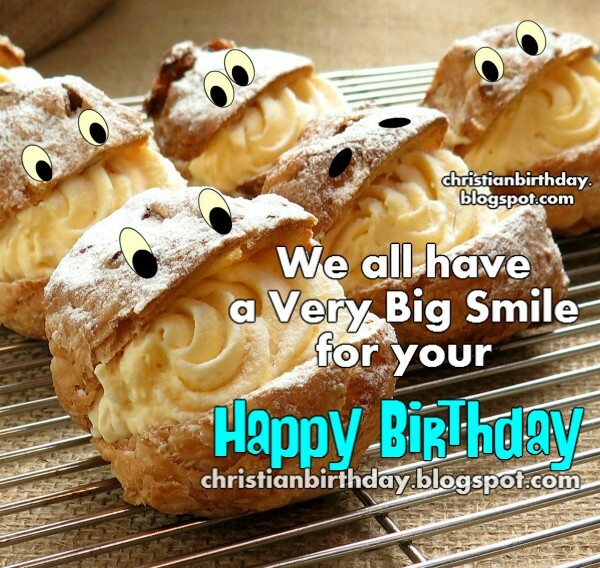 Funny happy birthday card, smile is your birthday, congrats, free happy quotes. Free image.